What does it mean to do critical literacy in a world beyond reason? In a world where fake news abounds, where algorithms decide what information we receive, where science is denied, where cyber warfare threatens democracy, and difference is demonised, social justice educators have an enormous responsibility. Tracey Psycher, Anne Crampton, Kerryn Dixon and I are confronting what it means to engage meaningfully with texts that threaten our identity investments. To start with, we have to understand our own privilege and its effects. As educators we have to engage with difference, we have to face hatred with love, we have to listen in new ways, and imagine new possibilities for social engagement and action. We have to nurture our own agency and support young people to find theirs so that we can act for good in an entangled world. In this project, we are trying to figure out how our practices as critical literacy educators might need to change. In this project Kerryn Dixon and Hilary Janks investigate the spatialities of childhood through teachers’ work with children in their early years classrooms. How children’s rights and responsibilities in relation to space are conceived is tied to constructions of childhood and to a range of social factors relating to age, gender, class, geography and time. Lefebre (1991) describes the trialectic of spatiality-historicality-sociality as contributing to the production of subjectivities. As critical literacy educators we are interested in developing children’s agency in relation to self and others that is underpinned by an ethics of social justice. We regard access to space, control of space and design of space as markers of identity and power and are therefore interested in making space the object of children’s critical analysis. 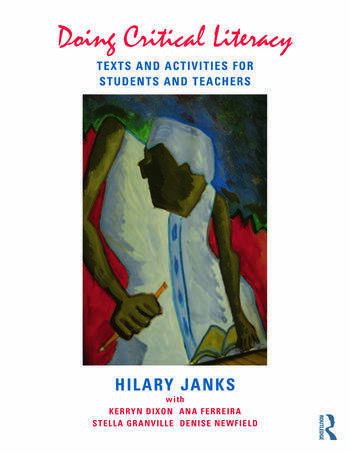 Critical literacy has moved from a focus on oral and written verbal texts to a focus on multimodal texts that use a range of signifying systems, such as images, sound, gesture. Changes in technology have brought about a concurrent shift from print to screen that enables the simultaneous use of multiple messaging streams. What counts as a text has as a result broadened considerably (Bearne, 2003) and now includes amongst others things, artifacts (Pahl and Rowsell, 2010), and places and spaces (Comber, 2015). Dixon’s (2011) research in the early years classrooms in South Africa examines how the modalities of time and space work as technologies to discipline children. Her focus on the ‘sacred’ space of school needs to be complemented by a focus on ‘profane’ spaces (Foucault, 2000, 176) that are private not public, for leisure not work, for family not society. These spaces along with institutional space are essential for helping children make sense of their own emplacement and that of others. Our research is interested in the different ways in which teachers working with critical literacy embrace children’s imaginations for the creative expression of possible worlds that are fair and just. This includes young children’s emotional, reasoned, social and ethical ways of engaging with the places and spaces in which they live. This research investigated the use of the iPod Touch in two schools in Orange Farm, with a focus the development of writing in Grade 5. Funded by Zenex (R1,9m) the research built on the social practice of using cell phones for text messaging in the children’s communities; privileged writing and text production over reading as the point of access to literacy; and sought to understand the role of new technologies in creating both the desire for literacy and an understanding of what literacy can be used for. Although students’ writing in both research sites shows improvement and demonstrates better results than the writing produced in curriculum Languages lessons, the results of this project are disappointing. What could be achieved was limited by internet connectivity, teachers’ reluctance to engage in ongoing practice work to achieve expertise with the technology, the limitations of genre theory, the habit of engrained pedagogical practices, and overly prescribed curriculum requirements. Curriculum constraints translated into insufficient time for the learners to learn from play and exploration, despite unbounded enthusiasm for the technology. We learnt that the positive potential of technology is also dependent on what teachers are willing to learn about it and what they are willing to allow as part of their pedagogical practice. An Honours research report as well as data analysed for a Masters confirm the gains in writing in both schools. One doctoral thesis is focusing on the kind of support teachers need to shift their practices. A literature review, based on a second Honours research report, is due to be published as a book chapter (in press). Furthermore, Janks (2014), ‘Globalisation, diversity and education: a South African perspective’ outlines the thinking that informs the project. The overall cross-site analysis showing what was learnt is currently being undertaken. In addition, a joint publication with a colleague in Sociology of Education will use Durkheim’s theories pertaining to teacher change to make sense of the data. We are committed to publishing disappointing findings, as we believe there is much to learn from research that disconfirms our theoretical assumptions. The empirical data collection phase of this research has now concluded. Publications and student outputs will follow. Ana Ferreira was the principal investigator of this project, which I co-directed. Ana (a junior academic and former Masters student of mine) and I worked with teachers to imagine ways of effecting post-apartheid reconciliation across the racial divides in classrooms and to invite young people to confront the effects of the past in order to move forward in new and more positive ways. To this end we worked in desegregated secondary school classrooms. I used this project to mentor Ferreira into research and publishing, and she subsequently built on this project for her doctoral work, which I supervised. She and I co-wrote all the articles that were published from this project, including those with multiple authors (Janks and Ferreira, 2007; 2009, et al; 2012). Ana subsequently published a further paper (Ferreira, 2008). The data from this project informs Chapter 7 of Literacy and Power. What this research shows is that although students were reluctant to discuss the past, constructing them as researchers of their own communities’ experiences of the Truth and Reconciliation Commission produced shifts in their understanding of where we have come from, as well as what counts as valued cultural capital in the classroom. The multimodal texts students produced based on their research constituted part of the data for this project. In this project I was seconded to the Vice-Chancellor’s office with responsibility for conceptualising and establishing a postgraduate office that would ensure a quality experience for postgraduate students across the University. The project informs five of my publications (solo and in co-authored). My interest in postgraduate pedagogy, including research supervision, extends my overall understanding of high-stakes literacy – where questions of access and power are at play in a context of diversity. A further paper, ‘Killing an elephant with a plastic spoon: metaphors of supervision’ was presented at an international conference and was used in the multi-authored handbook we produced for Wits staff and students: ‘Strategies for effective supervision’ (2007). The University of South Australia, in collaboration with Professors Barbara Comber and Pat Thomson, funded this international place-based literacies research project. The South African location was a school in Atteridgeville. ‘Critical literacy across continents’, ‘Games go abroad’ and ‘Seeding change’ are the publications that emerged from it – showing how the use of children’s funds of knowledge can be used to support literacy development, particularly when they produce texts that are motivated by the desire to share them with children elsewhere in the world. 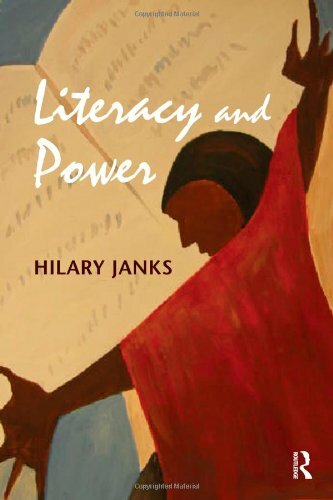 Chapters 6, 7, and 8 of Literacy and Power include discussions of data from this project. All of the school-based projects have been small in scale, in an attempt to understand how to effect change in and through education. The projects in both Attridgeville and Orange Farm investigated teacher change in relation to global developments in the teaching of literacy in primary schools. This was based on the premise that close and ongoing work with teachers was more likely to achieve transformed practice. Without evidence for this, scaling up could not hope to achieve anything. What we have gained is a better understanding of factors that inhibit teacher change and the realisation that there are no short-term solutions to this problem. This was the research I completed for my doctorate under the supervision of Professor Norman Fairclough at Lancaster University. It led to the publication of the Critical Language Awareness Series and several publications. An electronic version of my thesis is available from the library at Lancaster University.